I’m finally back! I’ve been visiting family in Southern California, and unfortunately, no WiFi was available to post. Time to catch up. 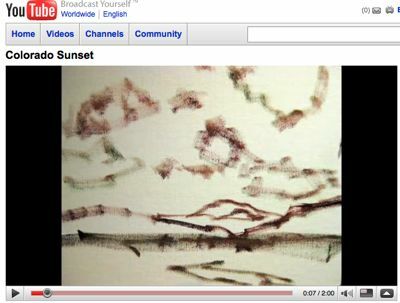 This video demo shows a how I interpreted a Colorado sunset in paint. I took snapshots throughout the painting process and string them together in this video. There were many shots taken, so you’ll get a better idea of how I go back and forth to adjust a painting before it’s done. I’m still struggling with dark values. I wanted the sky clouds/colors to be rich and warm (ie, as little white as possible, because white dulls color and cools it), so I get the ground and hills relatively dark. You’ll notice in the video that 3/4 of the way through I lighten up the hills (particularly those in the distance). Perhaps the warm clouds should have been lighter? I need to learn Photoshop, so I can play with these “what if” questions on my PC. 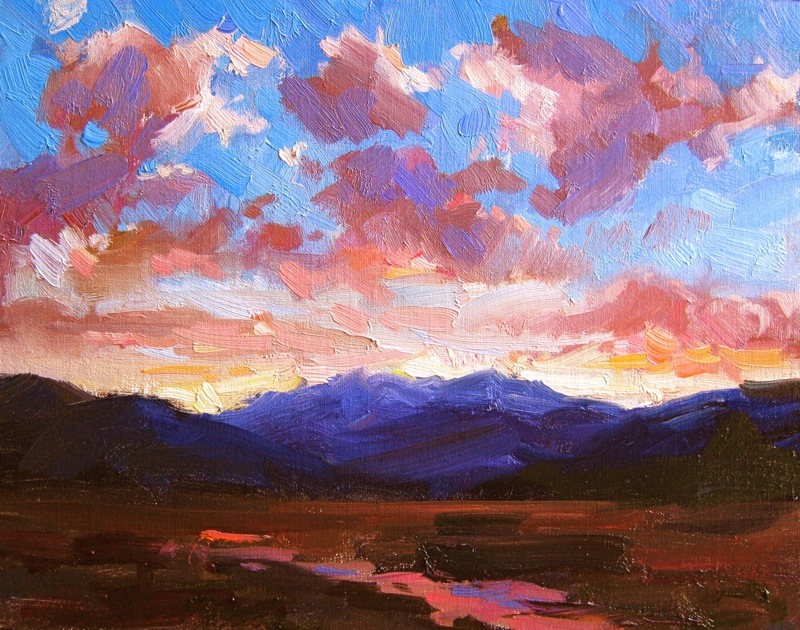 I recall that Kevin Macpherson wraps his paintings in plastic and paints over them, to check alternative color/value, and also as he works on larger works and wants to check his color mixing. The video looks darker than the original, so keep that in mind.